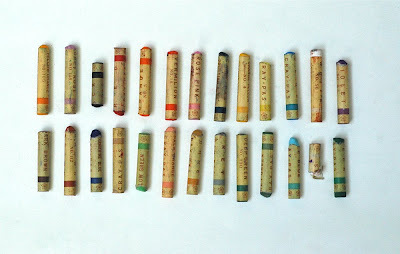 Old pastels (part of larger vintage art supply colleciton). Hi Lisa, congrats on the great article in the Chronicle! I've loving the contact of this blog. Will definitely be following it. This hold a sentimental element for me. My uncle who passed away in Cuba was a painter and I used to send him pastels.